It’s the New Year! And many of us are vowing to lose weight. Gym memberships surge. Bike trails and walking paths become clogged. But often before the weather turns warm, the resolutions have been abandoned. It doesn’t have to be that futile. Dr. Ellen Carraro, a bariatric surgeon with Novant Health Bariatric Solutions in Charlotte, North Carolina, offers several suggestions to maintain your weight loss, whether it’s your New Year’s resolution or a midsummer launch. Too much! Too soon! It’s tempting to think of a huge goal, but starting small is a solid strategy. 3. Is it thirst or hunger? Carraro said she often hears patients say they’re hungry “all the time.” But often they’re just thirsty. 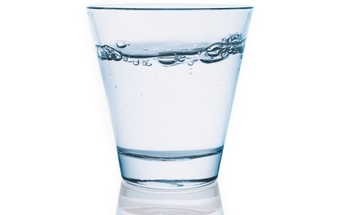 Stay hydrated by drinking 2 liters (that’s about 8 cups) of water every day. Soft drinks, fancy coffees, sweetened iced tea and alcohol are loaded with calories. Cut back, or eliminate them as much as you can. Eat more fruits and vegetables, and a wide range. They’re loaded with helpful vitamins and minerals, and aid your body in myriad ways. Mix in plenty of whole-grain foods, too. Avoid processed foods. Carraro suggests actively increasing whole foods with minimal processing. Food tracking and journaling can help you see what you consume. If you notice a bad pattern, work to eliminate it. If it’s good, congratulate yourself and reinforce it. There isn’t one magic exercise program that fits everyone. So, which do you choose? Joining a gym across town or vowing to run 100 miles a week if you’re a beginner is likely setting yourself up for failure and injury. Strive for 7 to 8 hours every night. “You won’t have the energy you need to make other changes like exercise or meal planning if you’re tired,” Carraro said. Self-awareness is important. Ask yourself if you’re eating because you are hungry or only because you’re tired, bored or stressed, and work to not do that. Eliminating foods isn’t practical. It’s OK to have a cupcake on occasion. The key is moderation. Eat smaller meals more frequently throughout the day. Take small, simple steps and let them develop into habits. ​To learn more about weight loss or register for a free weight loss seminars, visit NovantHealth.org/WeightLoss.